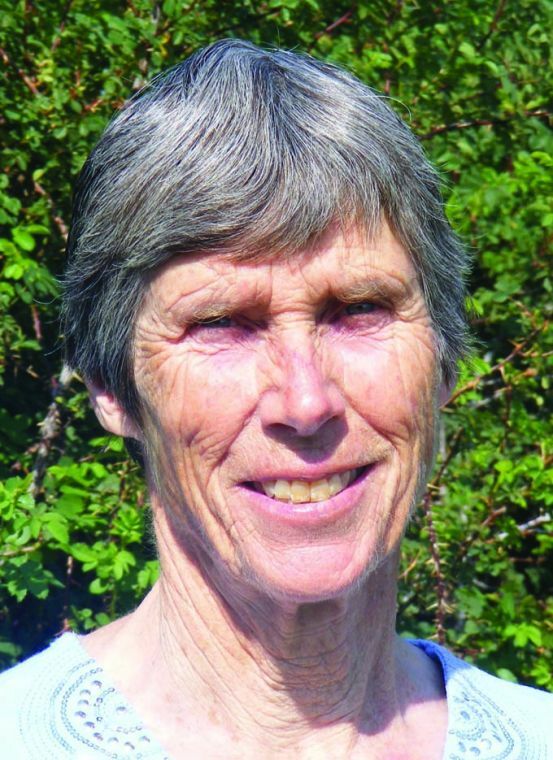 Virginia Topham is a rancher and irrigator with 1864 Walton water rights in the Sprague River valley, where she and her family have lived for 41 years. Their surface water was shut off in June. I am writing in response to Klamath County Chamber of Commerce President Stan Gilbert’s guest opinion in the Aug. 4 Herald and News in which he continues to push the false assertion that the Klamath Basin Restoration Agreement somehow protects irrigators outside the Klamath Project, and would have prevented the shutdown of irrigators above Klamath Lake. Currently, tribal in-stream claims are shutting down everyone who irrigates out of the Williamson, Sprague, and Wood rivers and their tributaries. This is not simply a drought shutdown. The tribal claims would have shut off irrigation for 88 of the last 95 years. If these destructive claims are not overturned, many in the upper Basin will be permanently without water. While the KBRA has not been funded, major portions of the document have already been implemented, to the extreme detriment of the upper Basin. This document was filed in the adjudication and included as an attachment to the KBRA in 2008. It should come as no surprise to the Chamber that the upper Basin is being dried up by tribal claims; this is exactly what the KBRA stipulates in Section 21.3.1.B.iv.b. For a fuller understanding of the true intention of the KBRA, read the Yurok Tribe’s Dispute Initiation Notice, demanding of the OWRD that the upper Basin be shut off to provide “environmental water” downstream. Within days of the Yuroks’ filing, the OWRD obediently began the process of putting upper Basin irrigators out of business to supply, through limited license, an additional 175,000 acre feet to be dumped down the Klamath River. I find it ironic that the chamber claims to be against paid buyouts in the Project but they chose to support an “agreement” that advocates permanently retiring large acreages in the upper Basin. I applaud the chamber’s stance against Oregon Wild, but the chamber got side-tracked by its comments. The chamber seemed to forget Oregon Wild had nothing to do with these shutoffs. By supporting the KBRA, the chamber itself bears a great deal of responsibility in upper Basin water being stripped from its lawful owners. The chamber needs to take a hard look at their partiality toward some irrigators at the expense of others. Mr. Gilbert lays out a misleading choice of KBRA vs. adjudication. The KBRA has become the new adjudication with these draconian provisions being rolled into one ugly package. Furthermore, the nightmare is just getting started. OWRD recently came out with studies indicating that every groundwater well is hydraulically connected with surface water. Touting the theory that river levels are influenced directly by groundwater, OWRD has already asserted that it may begin to regulate wells to support tribal claims. This isn’t just the upper Basin; this means that wells in the Klamath Project, Swan Lake, Langell Valley, and even the municipal supply for the city of Klamath Falls are vulnerable to the absurdly large tribal claims. Oregon Cattlemen’s Association was successful in allowing a minimal usage of livestock drinking water for affected ranchers and for the municipal supplies of Crater Lake National Park, but this relief will expire in 180 days. If the park can be shut off, does the chamber really think Klamath Falls is safe? I urge the chamber to take a second look at it actions and reverse course on the KBRA before the entire county goes bankrupt. Some Klamath Falls agriculture-related businesses are down 50 percent in sales since water shutoffs. Every chamber member should read the Yuroks’ Dispute Initiation Notice; KBRA supporters, this is what you are advocating. Thankfully our current commissioners have ignored the chamber’s advice and have come out strongly against the KBRA. They are in favor of a true settlement for the entire Basin. Congress has also indicated the KBRA will not be supported until it becomes fair. I support Sen. Ron Wyden’s initiative to reach a settlement. The upper Basin has always preferred settlement over litigation, but litigation must proceed if there is no practical settlement. I realize that a true settlement would contain things that the upper Basin would have to “hold its nose over” to obtain protections for Klamath County’s economic viability, but the current version of the KBRA ultimately ends our economic viability as a group, a community, a county and a country. Forget holding our noses, our head is on the chopping block.